Thank you to all those members who have renewed their memberships on time. However, there are a number outstanding and these may be subject to a late payment charge from 1 December 2018. If you have mislaid your renewal form, please download from our website http://wyc.org.uk/members/Subscriptions and return with payment to Sally Gostelow, Membership Secretary or, alternatively, give Sally a call on 01227 272942, Mondays or Tuesdays only. Prize Giving 2018 - Well done to the winners! Most Deserving Lady - Liz North. Good Sportsmanship - Pat Edmondson. Largest Cat Turnout for the year - Richard Ledger. Highest Turnout - Kevin Hall, Laser. Highest Merlin turnout - Martin Akers/John Gibbons. Merlin Helmsman of the Year - Phil Emery. Best Merlin Crew - Julie Nuttall. Best All Round Cadet - Alex Wilson. Cadet Participation in club racing - Tom Oliver, Laser/RS Feva. Best Wanderer in 4 series - Richard Maltby. 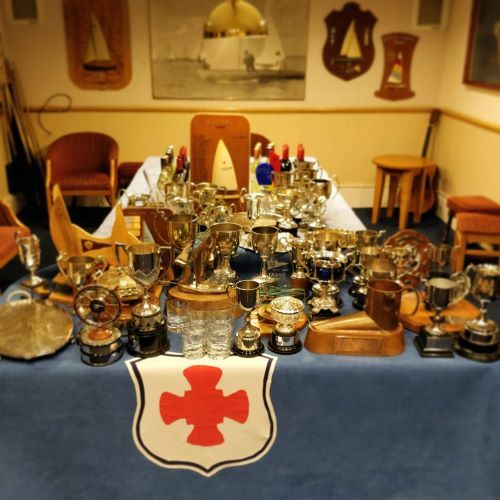 General Purpose Dinghy Trophy - Richard Maltby. Allan Barnes “Contribution to Sailing” Award - Fef Griffin. Laser Sailor of the Year – John Day Trophy - Charles Campion. You can download the full list of prize winners here: 2018_prizegiving.pdf. If you weren't able to make it to Prize Giving, please contact Sally in the office to collect your trophy or prize! Don't forget, there's still the Winter Series to race, every Sunday until 9th December, and the Winter Series Prize Giving on 9th December after racing. "We had a fabulous meal - beautifully cooked and plenty of it. The pud was divine - orange chocolate bread and butter pudding with custard - to die for! Big thanks from all six of us to ‘Keith’s Crew’ they did him proud and we are all looking forward to the next one. A wonderful Sunday - great food, great company and a glass or two of wine - perfect." The photos from this year's Whitstable Week and Forts Race are now available online from www.championmarinephotography.co.uk. 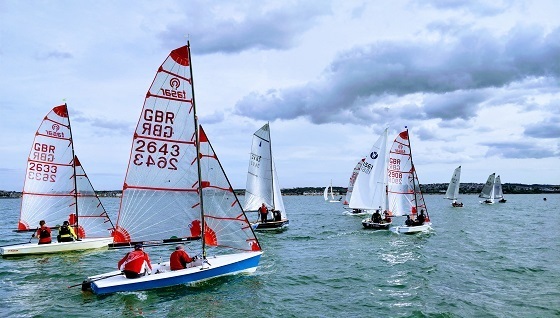 Well done to the 24 sailors who took part in Bart's Bash at WYC on Saturday. £138 was raised for the Andrew Simpson Sailing Foundation. 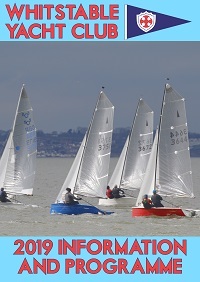 The WYC results for the Bart's Bash race can be found on the Bart's Bash website (click 'View All', then filter by 'Whitstable Yacht Club'). Congratulations to first placed WYC boat Chris Jarrett in his Laser Standard! 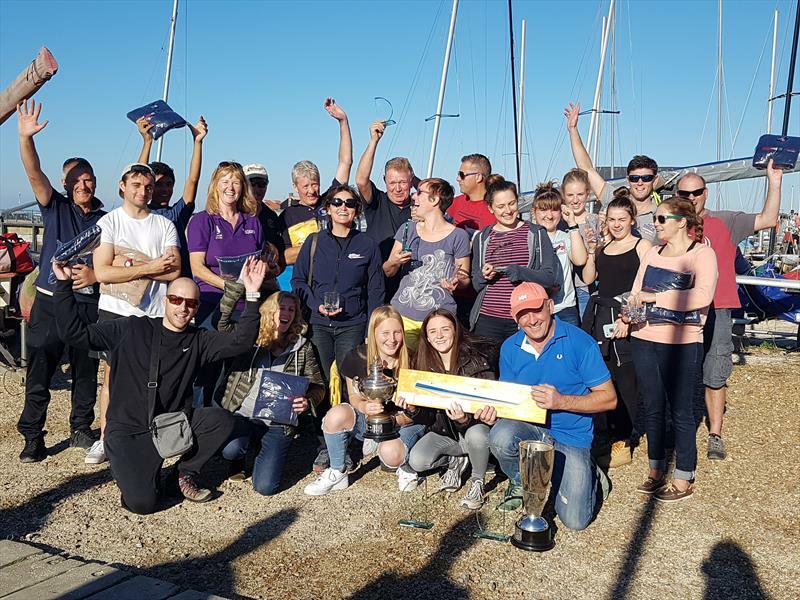 The 23rd Forts Race Weekend, sponsored by Marlow Ropes and supported by Whitstable Marine and Integral Asset Management, was held on 8th and 9th September at Whitstable Yacht Club. 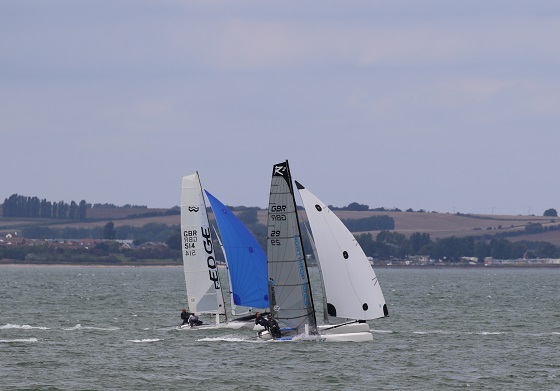 The weekend delivered fantastic sailing conditions for the high-performance catamarans that gathered to take part in the event, and made for great racing on the waters off Whitstable. See Yachts&Yachting for the full race report, wyc.org.uk/on-the-water/results for results, and the event's Facebook page for photos at facebook.com/FortsRace. 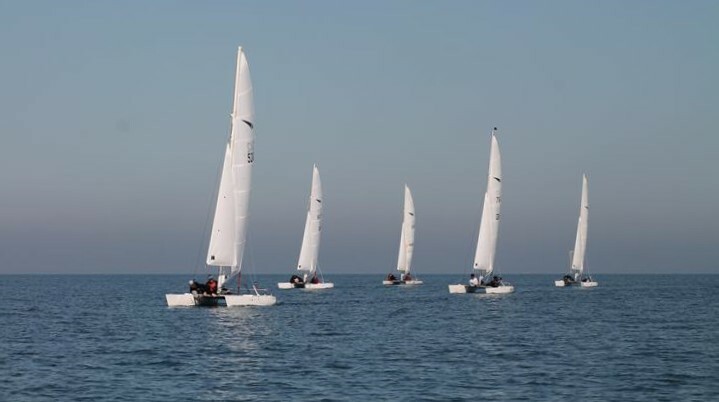 The Laser class has had a great few years, growing in size, producing some excellent club racing every week with the largest fleet at WYC, and creating a popular Laserfest event which has now expanded to three clubs (Broadstairs Sailing Club sees the finale this weekend, see www.laserfest18.com for more information). Laser sailor Paul Kelly has been documenting the sailing this year, with some help (and lots of footage) from the other Laser sailors, in a (almost) weekly 'vlog', which you'll need to sign up to the Facebook Whitstable Yacht Club Laser Class group to see. 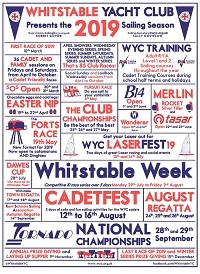 This week he's also put together a highlight video, which is a great showcase for Laser Sailing at Whitstable Yacht Club, and you can watch on YouTube at youtu.be/n67PksDv4bA. If you want to know more, or try out Laser Sailing, contact 'Capt'n Mike', the Laser Class Captain (and interviewer/host for the Laser weekly vlogs!). Thank you to David for the apricots, Jo for making the Jam and Chutney, Fef for the marmalade, Larry for the bread pudding, and everyone who donated jam jars. We raised over £150 on Sunday for the Ramp it Up fund from sales, and if you missed out, another batch of chutney for the autumn will be available as Jo can face the preserving pan again!